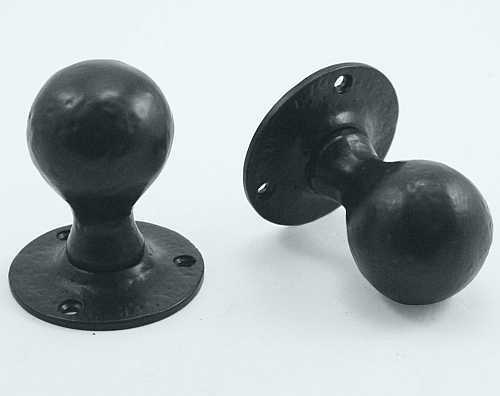 Description: Heavy cast iron ball shaped knobs with black powder coat made by Frelan Hardware. Suitable for use with mortice locks and latches only. Base metal: Cast malleable iron. Sizes: 47mm knob, 64mm rose.